Last comment was posted 2 hours, 48 minutes ago. Some may praise it as the quintessential tiki drink, others may tout it as a horrific explosion of bad rum and candy-red syrup, but to know the Zombie truly is to have seen paradise. A wild mix of rums complimented by a perfect dose of citrus and more than a handful of complex and absolutely required drips and dashes. We’re taking all that time-tested perfection, throwing it in a Blendtec and seeing what we come up with. Want to try a Zombie made with a float of gin? How about with a few dashes of creme de violette? Or maybe a few drops of orange flower water? Come up with the best new Zombie recipe and you’ll find yourself in the possession of a custom-designed, Zombie-themed mug forged by Cass McClure (aka Ocea Otica). Not only that, but your name will be emblazoned upon its visage. Check out more of his work. The action begins at 7pm EST this Thursday. Log in to the chatroom! 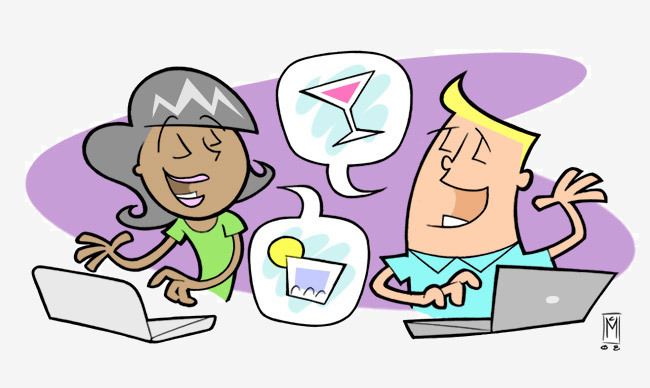 While bartenders and cocktail enthusiasts from around the globe gathered in the Mixoloseum online chat room, I had the pleasure of joining Blair Reynolds, Jeffrey Morgenthaler, Sylvan, a host of spouses, Matthew, Char, and several people I am loathsomely forgetting in Craig Hermann’s basement, which just happens to be one of the coolest tiki bars I have ever laid my eyes on. We had a live webcast going the whole time, so everyone got to join in for mixing and antics. If you don’t like the victor, blame yourselves! Or just go vote for the winner. Shake with a monk’s fury and strain into a jeweled cup of success! 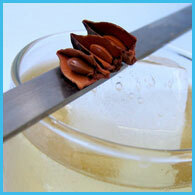 Stir with monkey-cracked ice, strain, and garnish with drink’s namesake. Shake in a glass beaker and strain, just so, into an iced rocks glass. Shake with ice from Mt. Hood and strain into a chilled cocktail glass. Drop in the cherry like a an orb of joy. 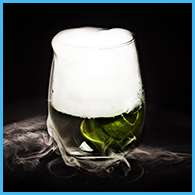 Shake with spherical ice cubes and strain into a frigid cocktail glass. Stir with a properly-weighted barspoon, strain into a chilled saucer, and release the bright oils of lemon on top. Swizzle with the calm of 312 monks. i just finished the “brandied cherry”; i found it overly sweet, but intriguing. i plan to try it with double the rye & half the other ingredients later this week; i’ll let you know how that turns out. note: i made my own b&b by mixing equal parts benedictine & vsop brandy. ok, workin’ my way thru a vesper prayer … luscious mouth-feel, thick & heavy … flavour a bit like the kool cigarettes or york peppermint pattie of the cocktail world. good eye-appeal; very little aroma. definitely worth a 2nd visit. Although it’s name says “brandy” it’s actually Benedictine and Cognac! The BBTart was exactly the drink I was looking for to make with my B & B! Scrumptious! B&B Cocktail Recipes | Kaiser Penguin <Loved it! That you are really a fantastic website owner. Your website filling acceleration will be awesome. It seems you’re doing every exceptional strategy. On top of that, The belongings are generally must-see.. 8202 e4b you’ve got completed an excellent method during this topic!